This issue marks the end of my tenth year posting The Subchaser Archives Notes. Thank you, everyone who has contributed scans of photos and documents, information, comments, and questions. A big part of what makes it worthwhile to run the site is the opportunity to hear from other people who are interested in WWI-era chasers, and to add your photos and other content to the online archive. And, my standard disclaimer: If you have sent a message to me -- a question, comment, scan, or other correspondence -- and you haven't heard back, please send me a reminder. Sometimes my timeline of what I'm working on gets pretty far out of sync with my email box. Except for questions like, "how much could I get for these subchaser photos on eBay, if I split up the collection?" I'm always happy to field correspondence on chasers. Now, on to Volume 11! 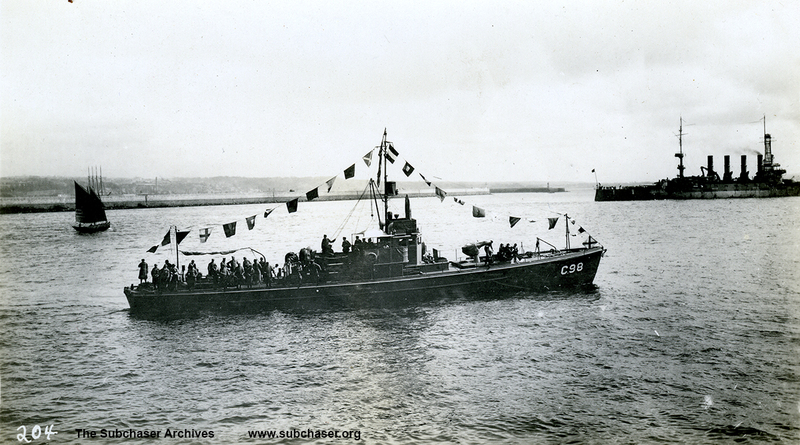 Just added to the SC 401 page is a nice, clear shot of the chaser as C 98 in the French navy. Added to the SC 273 page are two photos showing this chaser and others. 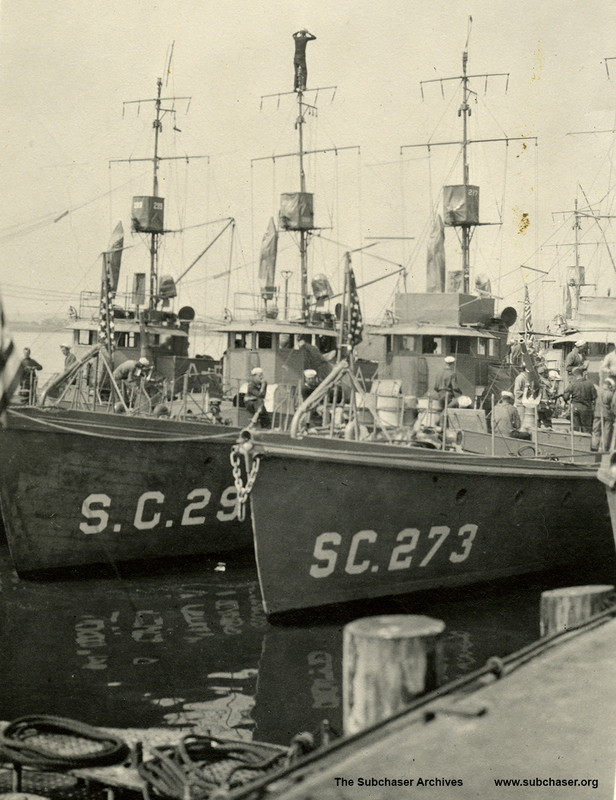 In the second photo, I believe the chaser next to SC 273 is SC 297.